KJ027 GT Spirit - Lamborghini Khyzyl Saleem Huratach. 1:18 resin model collectible model car. This is a 10.5"L x 5"W x 2.5"H resin model car with freewheels. Highly detailed components. This Lamborghini is manufactured by GT Spirit. Box size is 13.5"L x 7.5"W x 6.75"H. Item KJ027 is in RED color. Limited Edition to 999 pcs. Car is not openable. "HURATACH" created by Mr. Khyzyl Saleem, who works on CG for vehicles appearing in "Need for Speed" of EA / Ghost Games, is an appearance from GT SPIRIT. As the name suggests, the two units of Urakan and Counterk are fused by Mr.'s idea. Although it is obvious at a glance that it is a counterc, the original design has been transformed into a unique creative styling. Modeling of the CG origin is the first attempt of GT SPIRIT, but HURATACH, which has emerged from CG as if it existed, proposes a new way of enjoying minicars. The production number was limited to 400, and Kyosho secured 200 of these. 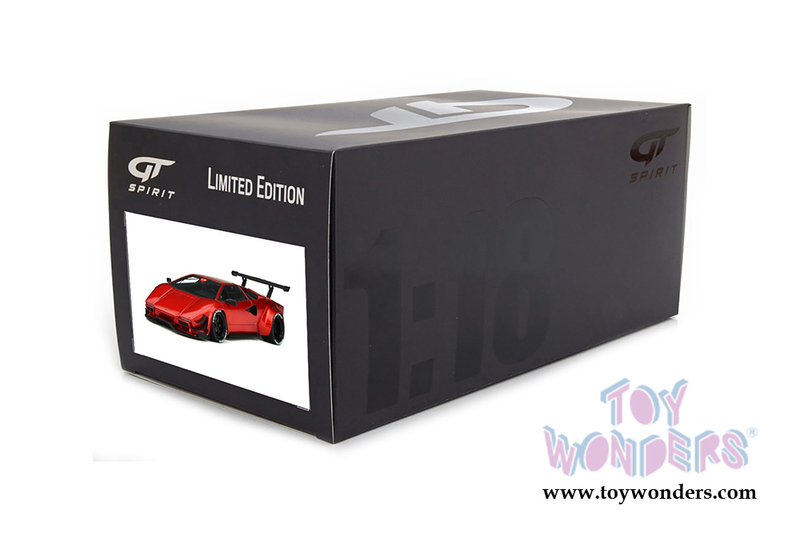 The unusual black package is a mark of GT SPIRIT Asia Exclusive. There are a small number of stock, and it is a popular model so don't miss it! 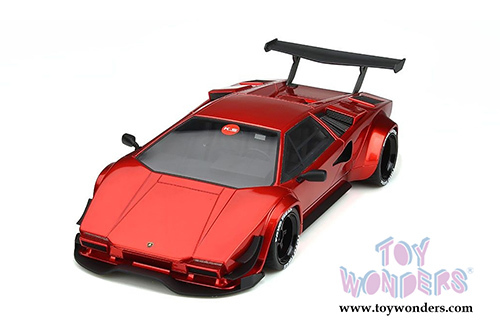 To see more die-cast Lamborghinis (click here).